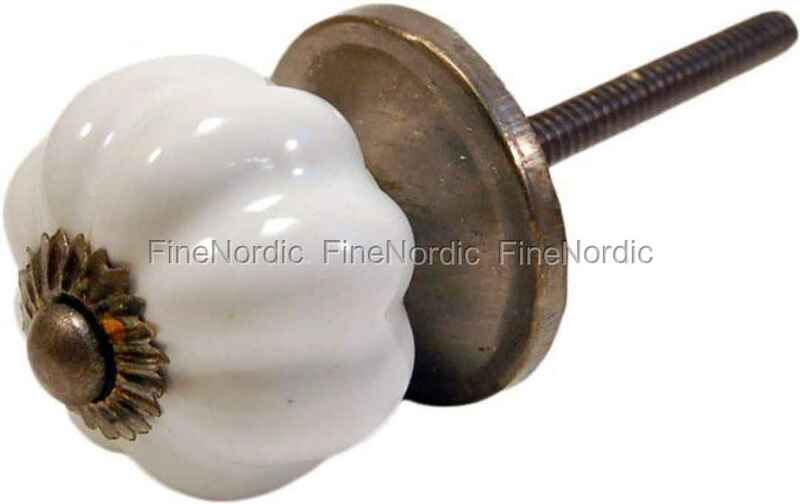 This popular La Finesse Porcelain Knob can be used for many home improvement and DIY projects. Do you have an old dresser you want to you jazz up? Or did you inherit an old armoire that you want to paint and add new knobs to? Then this one might the right one for you. It is 3 cm in diameter and easy to attach. You can also check out the other La Finesse porcelain knobs we have in our web shop. We offer a good variety of knobs, in all different sizes, colors and shapes. We are sure you will find one that’s just the right one for you.